Redeemable at over 400 stores at Westfield London, Shepherd's Bush and at over 350 at Westfield Stratford City, both offering the choice of luxury and high street brands, restaurants and bars, a Westfield gift card is the ultimate can’t-go-wrong gift. Available to buy online or at any Guest Services desk in centre, our Gift Cards come in a selection of colourful designs and in any amount from £5 - £1000. Please note that ID may be required for Gift Card purchases over £100. Order online and we'll dispatch your Gift Card the next day for orders received by 11am, or you can choose to collect it in the centre with our complimentary Click & Collect service. To check your Gift Card balance, click here. The issue and use of Gift Cards is subject to Terms & Conditions. The purchase of online Gift Cards is subject to online sales T&Cs, along with online delivery charges. 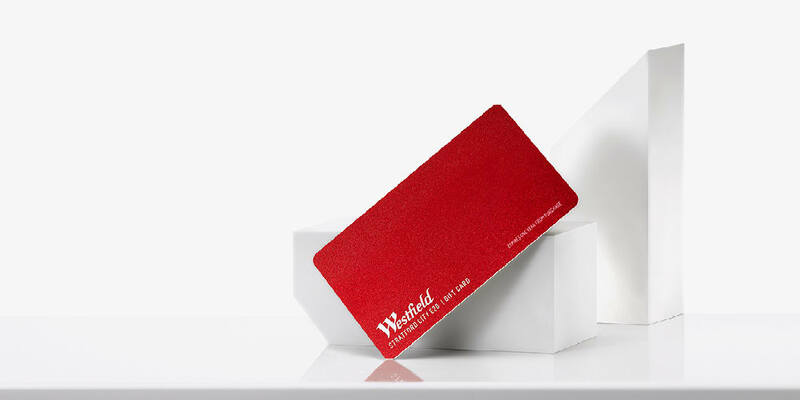 For further information please view Westfield Gift Card FAQs. Most retailers accept the Maestro payment system.